My name—although I’m known generally as Huncke and by a few as Herbert and in the past as Herbie. 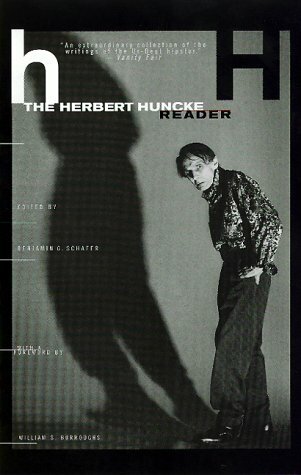 It is seldom I’m referred to as Mr. Huncke, and when formal introduction is required it is usually—Herbert Huncke. I mention all this concerning my name simply because recently I’ve grown to dislike my name—not because my name is Herbert Huncke but rather because I’ve reached a point where my name (any name I might have had) by its mere utterance creates an almost weary and loathsome feeling in me. When I say it to myself—and frequently I say it to myself—I am immediately aware of a sense of disgust as though the sounds I make are significant of not only me but of a new and strange disease and I am sure, for at least the instant, I am at last slipping into an insanity from which there is no escape. For several years I’ve been confident I will become insane, in fact I’ve felt thusly almost as far back as I am able to recall. Once, when I thought I would become a writer (I was quite young—fourteen at the time), I made periodic attempts to write poetry, and on this particular occasion I became aware fully of the sense of pending insanity. It was shortly after dawn and a huge glistening sun was ascending a delicate blue sky. It was early summer and people were beginning to enjoy the bright colors of summer attire. I was living on Superior Street just east of North State Street in Chicago in an old wood–frame house that had been converted into what is called studio apartments. The house was well constructed and the rooms were large with high ceilings and windows reaching the full height of each room. I had spent the few hours just preceding daybreak bathed in moonlight, watching the sky thru one of my windows (there were two in this room—huge windows which could be flung up quite high, letting in all the outside sound and scent and air, on either side of a fireplace with a white mantel with two large brass candlesticks with tall green candles), allowing my thoughts to dwell as they would and pondering over my problems and the magnificence of a daybreak. I had sent my minute energy quota into the central urge aiding each rent in the block of darkness, tugging at each fold of light to make way for the one great power: the sun. And now, as I descended the front steps to the street level—the sun was hurling and spiralling across a huge space of blue. To one side of the steps was a flower bed sparsely filled with yellow jonquils, and I glanced at them and then toward the sidewalk to observe several young women who were rapidly walking past and talking of their work and of something amusing, and when they had almost reached the corner they began laughing. Their costumes were charming and one wore something with large figures of poppy red which I liked. I was rather frightened and deeply impressed. I stood a long time thinking about it, becoming more convinced each instant, I was doomed. Several hours later when I had finished my breakfast and returned to my apartment, I tried putting into a poem all which I had felt and I was rather pleased with what I had written, although I can’t remember any of it and the actual writing is long misplaced—along with everything of myself at that time. It wasn’t long after I began travelling and ceased considering Chicago as my home. Out of Print. Here & Here. The first collection of Herbert Huncke’s writing was published in 1965 by the poet Diane di Prima. With the help of friends, di Prima invested twelve hundred dollars in a secondhand press that came with a week of free printing lessons, and The Poets Press was born. Operating out of a storefront on New York’s Lower East Side, The Poets Press published Huncke’s Journal on its first list, along with such writers as A. B. Spellman, Kirby Doyle, and Zen poet Philip Whalen. The Poets Press continued for three years, publishing roughly thirty books, tracts, and texts, including titles by Jean Genet and Clive Matson. Huncke’s Journal contains writings dating roughly from 1948 to 1964 and demonstrates Huncke’s remarkable range within the memoir form. In it are prose poems, solitary musings, teenage memories, sketches of various New York City scenes, magical flights of imagination describing the crush of activity, personalities and energy surrounding the amphetamine scene of the early 1960s. Some of the stories from Huncke’s Journal reappeared in the 1980 collection The Evening Sun Turned Crimson. ‘Youth’ was retitled ‘First Love’ while ‘A Story—New York’ became ‘The Savior’. 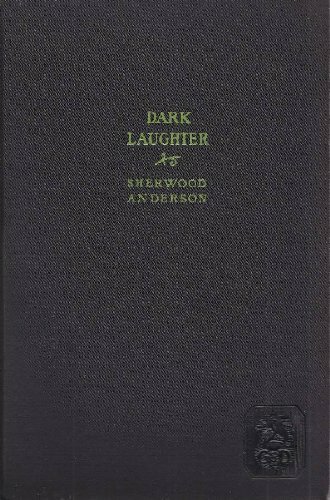 ‘Cuba’, ‘Frisky’, ‘Beware of Fallen Angels’, ‘Ponderosa Pine’, ‘In the Park’ and ‘Cat & His Girl’ were also published in Evening Sun but, like the others, with degrees of revision. Elements of both versions of these stories have been combined in the present collection.